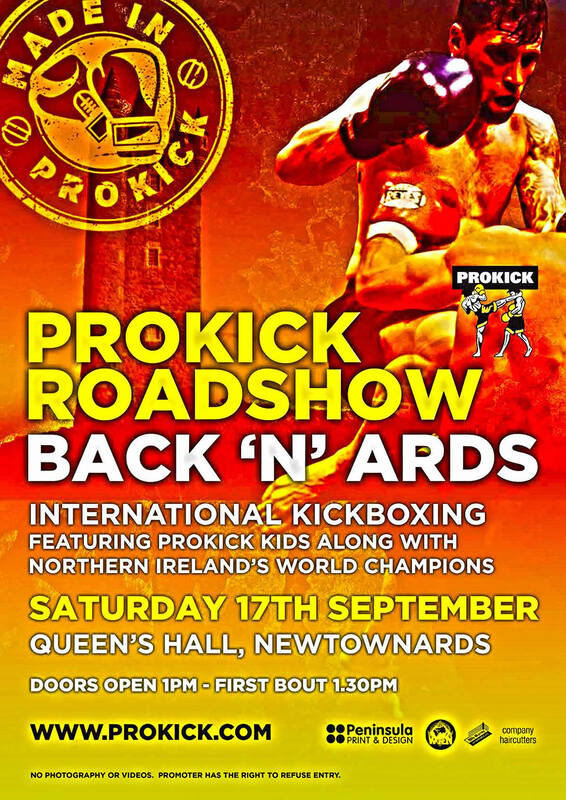 On Saturday, 17th September 2016, ProKick promotion held the evening of international kickboxing at the Queen’s Hall in Newtownards, Northern Ireland. In the main event ProKick fighter Michael Swann challenged Cathal Dunne of Wolfpack Athlone. The WKN all Ireland amateur title was for grabs at 4×2 minute rounds in the light welterweight division under the Full Contact rules. Swann has taken the forth round knockout victory. Jake McCreedy, along with a female World Champion, Samantha Robb, featured on the card. Also Prokick’s adopted Swiss son, Killian Emery, competed at the Queens Hall. Alongside adult matches on the card, the event focused on the kids for a light-contact competition and demon matches.